Coming up Short Selling a Second Hand Car? You’re Not Alone! If you’ve recently listed a second hand car for sale online, or in your local Auto Trader, you know that even an OBO (Or Best Offer) sale can be as elusive as getting your actual listing price. These are tough times in the world of used car sales. Why? Not for the reasons you might imagine. Don’t take it personally that you’re trusty Buick or that beautiful T-bird isn’t getting any bites — you’ve come into the re-sale market at a time when moving a second hand car in need of any kind of repair is sluggish at best. We address some aspects of this in The Metal Monster, where you’ll see that the depressed value of metal is impacting you directly. Rob can relate! When his reliable not-so-old Altima just couldn’t turn any heads, he turned to his buddies for a little help in sprucing up the Nissan’s online image — with some funny results! Why are guys like Rob having a hard time selling a second hand car? Imagine that you are a mechanic, running your own business and using your unique skill to fix and flip cars for profit. You might make purchases off of your area Kijiji ads, or pick up a few used cars from the local auction yard. A car in need of $800.00 in repair might be worth the purchase at historical used-car rates. A small investment, a little elbow grease, and voila! You might have a car that can be resold at a price that will cover the costs of the repair, some of your labor time, and provide a small profit. Until 12 months ago. Now, those same repair and re-sale-ready cars have become a risk. What if that mechanic gets the car to the shop and learns that the needed repairs are more extensive than she’d originally estimated? In times past, rather than putting the time and money into the fix, she might have just had the car hauled to the local scrapper and made her original investment back. But not in this market. If the car cannot be fixed and flipped, the mechanic is now left with a second hand car that has no scrap value. This means she’s out her original investment, and she now has a scrap car in the yard that she’s not going to be able to move. It’s hard for us, as vehicle buyers, to wrap our minds around the reality that the car we spent $18,000.00 on is now worth so little. Unfortunately, a smattering of rust, a “small transmission issue,” and a wobbly global economy are conspiring to dictate otherwise. Happily, Donate a Car Canada is served by hard working and generous agents from Coast to Coast. Throughout the market downturn we have been able to consistently offer fair market dollar outcomes for used vehicles, resulting in a steady flow of donations to our 700+ receiving charities. 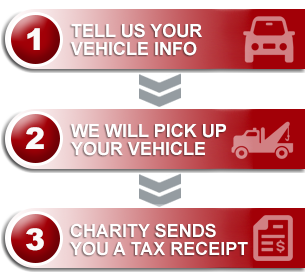 If you’re ready to get your second hand car off the driveway while doing good for the cause you love, we can help. We look forward to hearing from you!